RSPCA , dogs die in hot cars . Save a dogs life !! We're set for another warm weekend; great for us, but don't forget to think about your pets' needs in the heat. 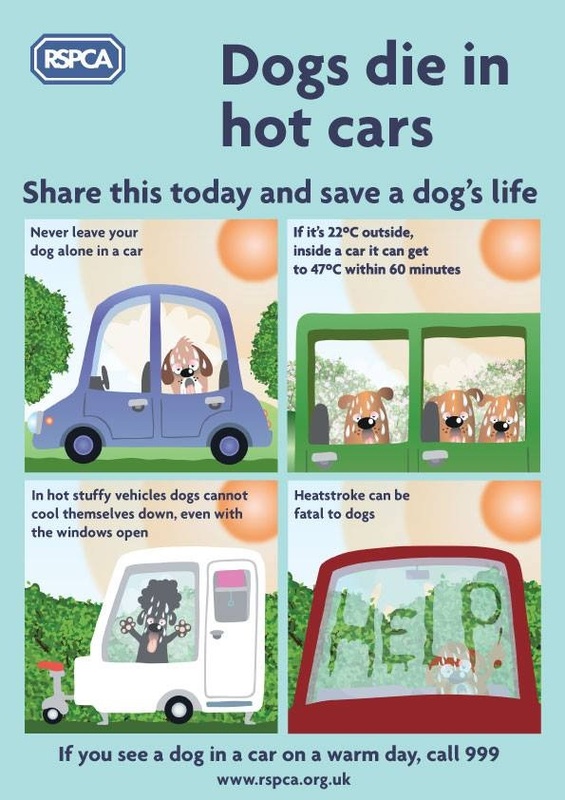 #DogsDieInHotCars, so if you're going out and taking your dog with you, please don't leave him/her alone in your car: it could prove fatal.